I love Noomi Rapace, and will watch anything with her in it. When I heard about 7 Sisters, it immediately piqued my interest. Rapace makes the film with her multiple performances, but everyone shone. Willem DaFoe who was shown mostly in flashbacks was a treat and gave the film an extra sense of validation. Glenn Close played the government official who instituted the one child policy and ran the department that dealt with “extra” children. She was deliciously evil as the antagonist because she didn’t think what she was doing was evil. As I said though, Noomi Rapace was the best part of this film. Each sister had a very distinct personality and it was fun to watch her bring each “day” to life. This was an exciting, thrilling film. There was lots of action; with fights and chases mixed in throughout the film all while the sisters got closer and closer to Monday. I really enjoyed the movie, mostly because of the cast, but also because the story was an excellent little taste of sci-fi. The only thing that disappointed me was that the Blu Ray didn’t have any special features. I thought that a film as ambitious as this; having one actress play seven characters, often sharing screen time; would have had some very interesting “behind the scenes” story, and I wanted more once the film was done. Bottom Line: If you’re as big a fan of Noomie Rapace as I am, may I also highly recommend the original Girl With The Dragon Tattoo films and Unlocked? 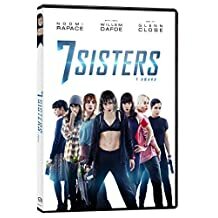 Also, the original title for 7 Sisters was What Happened to Monday. While I like the sound of that title a lot more, I guess it could be a little spoiler-ish, so I can see why they changed it. 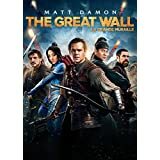 Starring global superstar Matt Damon and directed by one of the most breathtaking visual stylists of our time, Zhang Yimou (Hero, House of Flying Daggers), Legendary’s The Great Wall tells the story of an elite force making a valiant stand for humanity on the world’s most iconic structure. The first English-language production for Yimou is the largest film ever shot entirely in China. The Great Wall also stars Jing Tian, Pedro Pascal, Willem Dafoe and Andy Lau. Did you see The Great Wall? Did you hear about the controversies? Before it even came out there were accusations of racist whitewashing, of cultural appropriation and of being a “white-saviour” story with one heroic white man saving the day. These accusations mainly came because Matt Damon, a white, American actor was cast in the lead role, but director Zhang Yimou defended The Great Wall and Damon’s casting. He said the movie’s narrative couldn’t be further from a white-saviour story: “For the first time, a film deeply rooted in Chinese culture, with one of the largest Chinese casts ever assembled, is being made at [a] tentpole scale for a world audience.” Yimou also explained that Damon’s character was always intended to be white. “Matt Damon is not playing a role that was originally conceived for a Chinese actor. The arrival of his character in our story is an important plot point. There are five major heroes in our story and he is one of them — the other four are all Chinese,” Yimou said in a statement to Entertainment Weekly. This is the biggest American-Chinese co-production ever, and probably one of the most expensive movies ever made in China. Casting Matt Damon in the lead role of your movie is usually a pretty good idea. Matt Damon sells tickets. Plain and simple. He is a bankable movie star known and recognized the world over. The film employed hundreds, if not thousands of Chinese actors and crew, which probably wouldn’t have happened if the film wasn’t greenlit by the studio. Having a bankable star in the lead is probably what helped “sell” The Great Wall to those studio executives in the first place. The Great Wall takes place during China’s Song dynasty and follows two European mercenaries — William (Damon) and Tovar (Pedro Pascal) — who accidentally find the Great Wall as they’re searching for black powder (gunpowder) to bring back to Europe. William and Tovar are taken prisoner by the “Namless Order” that staffs the Wall, and learn that the real purpose of the 5,500-mile long structure it is to defend China (and the rest of the world) from the Tao Tei, alien monsters who crashed on earth on a meteor centuries ago and attack every sixty years. The Nameless Order is led by General Shao (Hanyu Zhang), Strategist Wang (Andy Lau) and Commander Lin Mae (Tian Jing) and broken up into five colour-coded, special military units: the melee-specialist Bear Troop (black), the acrobatic-specialist Crane Troop (blue), the archer-specialist Eagle Troop (red), the siege engine-specialist Tiger Troop (yellow), and the horse-mounted Deer Troop (purple). Originally slated to be executed, William and Tovar are set aside when the Tao Tei attack the wall. Fearing the Tao Tei (and being crushed in the skirmish) they are freed by Ballard (Willem Dafoe), another European prisoner who we learn has been a voluntairy prisoner for some years when he was captured also looking for black powder. (I say he’s a voluntary prisoner because he has free reign in the Wall, but is not allowed to leave because he knows their location, their secrets, and about the Tao Tei.) Once freed, William and Tovar help the Nameless Order fight off the Tao Tei on the wall, and prove themselves worthy warriors. After the fight, William joins with the leaders to fight the Tao Tei, while Tovar and Ballard focus on escaping with the black powder. The film was visually stunning, and the colour coding of the armies really worked to make the action scenes stand out on the screen. There were three separate battles, and the filmmakers did a very good job of not making them repetitive or just a rehash of the previous scene. The stunts and the effects were excellent. The acting was also quite good, I thought and I enjoyed the story. I really enjoyed Andy Lau as Strategist Wang and Tian Jing was great as Lin Mae. While they may have hinted at a romantic sub-plot, it didn’t really happen. I’m glad they didn’t, because I think that would have really diminished a strong, female character. Sure there were a few lighter moments in the film, such as Tovar bullfighting with a Tao Tei, and the scenes with the Emperor, but this to me was a popcorn film, so I was fine with it. As for the “white-saviour” issues, I don’t think it really applies. Usually that means the white hero teaches the other culture how to be better and that the white culture is superior. William doesn’t teach the Chinese how to be better Chinese — it’s William who must redeem himself by risking his life to serve the greater good, which is a popular theme in both Chinese culture and entertainment. In other words, it’s William who has to learn to be more Chinese. William and Tovar are in awe of the technology that the Chinese possess, that’s why they’re there in the first place. They are essentially greedy and “dumb” foreigners in search of gunpowder and fortune, who know nothing of the Great Wall, the Nameless Order, or the Tao Tei. Sure they are capable warriors, but they are not bigger than the whole Chinese army. The story was largely a redemption story, because William talks about how he’s fought for money and fought for different causes before, but never really fought for the greater good or for himself. Fighting this fight makes him a better person, and they’re not just saving China, they’re fighting to save the whole world. Bottom Line: If you’re asking me to believe that the Great Wall of China was constructed to keep alien monsters at bay, I can also believe that a white European was in China searching for gunpowder. For an action movie, John Wick did just about everything right. It kept the story very simple. John Wick is out to get revenge on the guys who stole his car (a beautiful 1969 Ford Mustang), and killed the puppy that his wife had arranged to have delivered to him after her death (probably cancer) so he wouldn’t be alone. It doesn’t get much simpler than that. It delivered constant action. There were very few scenes where someone wasn’t being beaten up or killed. The few moments of exposition had some light humour (such as the police officer coming to John’s house for a noise complaint) or built up the legend of John Wick. The action seemed believable. The film has developed a new style of action that they’ve coined “gun-fu”. The film was directed by Chad Stahelski and David Leitch, who are former stuntmen and fight choreographers, and did a great job bringing the action to the screen. Finally, they kept Keanu’s dialogue to a minimum. He did great in the action scenes, but I cringed a few times when he delivered his lines. “Yeah, I’m thinking I’m back” in particular made me laugh. 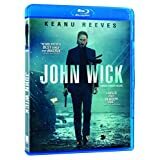 Wick (Keanu Reeves) is a former assassin who worked for various parties in the New York underworld, but most recently worked for Viggo Tarasov (Michael Nyqvist), who gave him an impossible task, that Wick completed, to earn his freedom from the life of crime and killing so he could “retire” and marry his wife. Of course, he’s pulled back in and kills just about everyone. It had stellar supporting actors who round out the cast of action movie stereotypes. Willem Dafoe as the mentor who is brought in to assassinate our hero; Adrianne Palicki as the femme fatale who also tries to assassinate our hero; Alfie Allen as the young thug who wrongs our hero; and Ian McShane as the wise and noble old leader who maintains the code of ethics among their profession. Their characters may have been action movie staples, but they really did a good job here. Also, having these better actors in these roles really hides the fact that the main character is only telling his story with his actions. Normally I’d laugh that off and call foul, but it really worked to everyone’s advantage in John Wick. Gun fights, fist fights, car chases, car fights, bar fights, a secret society of assassins, a hotel that offers them “holy ground” where they can’t conduct their business, I really enjoyed how this film played everything out. It may not be cerebral, but it is one of the more intelligently done action films I’ve seen in a while, and certainly one of the most entertaining. Bottom Line: What happened to his ’69 Mustang? Well I’ve seen my second Wes Anderson film now (the first was Moonrise Kingdom) and I really enjoyed it. The story was funny (a great mix of a caper comedy, murder mystery, broad adventure, and romance); the acting was top notch and the style and visual appeal of the film were trademark Anderson quirk. That trademark quirk just kind of gnaws at the back of my brain and bothers me a little bit though. I find a lot of the fans of Wes Anderson’s films to be kind of snooty and pushy and I don’t want to become that type of movie watcher either by association or by osmosis because I’ve enjoyed these last two films. Now, I have yet to see his earlier work, but I’m told that the “quirk” (sorry, that’s the only way I can think of describing it) has become more and more developed in Anderson’s later works. It just seems to me that a lot of his fans (and even some of the comments by his actors) can be fairly pretentious. I just want to enjoy what I enjoy and not be told what to enjoy or why to enjoy it. In 1932 M. Gustave H (Ralph Fiennes) is the legendary concierge at The Grand Budapest, a famous European hotel. He; and his hotel; are a faint glimmer of civilization left in the barbaric slaughterhouse that was once known as humanity. Gustave is a gentleman who not only sees to the needs of the hotel but the guests as well, and as the film opens he has just taken on a new lobby boy, Zero (Tony Revolori) who soon becomes his most trusted friend. Madame Celine Villenueve Desgoffe-und-Taxis (Tilda Swinton) is dead, and it is quite possibly murder. When her priceless Renaissance painting “Boy With Apple” is willed to M. Gustave her family has him arrested, as scheming son Dmitri (Adrien Brody) and his thug Jopling (Willem Dafoe) seek to secure the family fortune by any means necessary. Having to escape from jail to clear his name, Gustave and Zero flee across the Republic of Zubrowka with only Zero’s lovely fiancee Agatha (Saoirse Ronan) to aide them as they encounter a myriad of characters on their way back to the Grand Budapest and their rightful fortune. 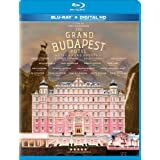 The whole story is narrated by a grown Zero (F. Murray Abraham) to an author (Jude Law) who is staying at the now pretty much neglected Grand Budapest while trying to overcome his writer’s block, so the film does jump between the past of the 1930s the 1960s and a “present” with the more aged author (Tom Wilkinson) of 1985. This was handled very cleverly by Anderson who changed the camera aspect for each different time period. As I said the film looked incredible, with Anderson’s signature pastel colour palettes and side scrolling camera angles, but the true strength really comes from the cast and the story. Anderson has seemingly created a repertory company of actors for his films as many of those cast once do return. My fear of “too many cooks” doesn’t really apply as Ralph Fiennes, F. Murray Abraham, Adrien Brody, Willem Dafoe, Jeff Goldblum, Harvey Keitel, Jude Law, Bill Murray, Edward Norton, Saoirse Ronan, Jason Schwartzman, Léa Seydoux, Tilda Swinton, Tom Wilkinson, Wes Anderson, Tony Revolori all fit in the film even though they don’t all necessarily have large roles. Owen Wilson was on screen for probably less than two minutes but somehow found his way to be in the special features talking about “their” film… I suppose though that it speaks volumes about the quality of the piece if actors just want to be in there regardless. Bottom Line: Is Wes Anderson being too Wes Anderson? How much longer can he keep doing “his” style of film before studios and audiences tire? Will anyone tire of it? Maybe, maybe not, but I have to wonder what it would be like if he were to direct something completely different.